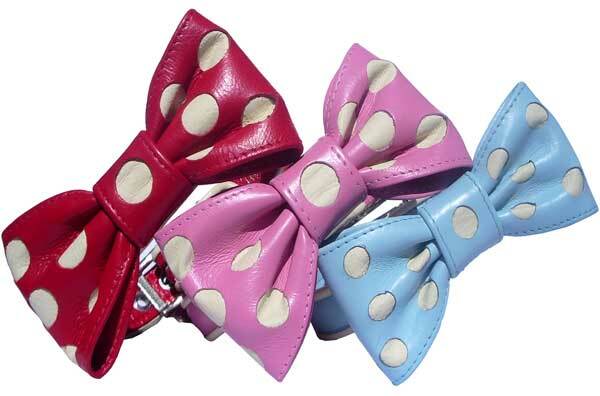 There is no reason an everyday collar cannot be super glamorous too! 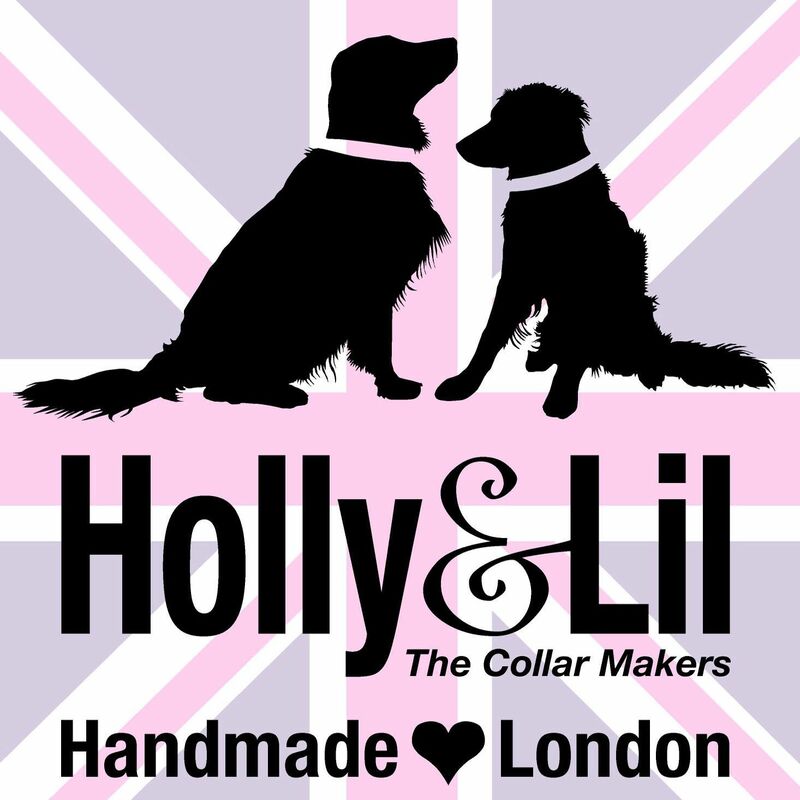 All of our collars are made from Italian calf leather – the same material as top quality shoes and leather clothes. 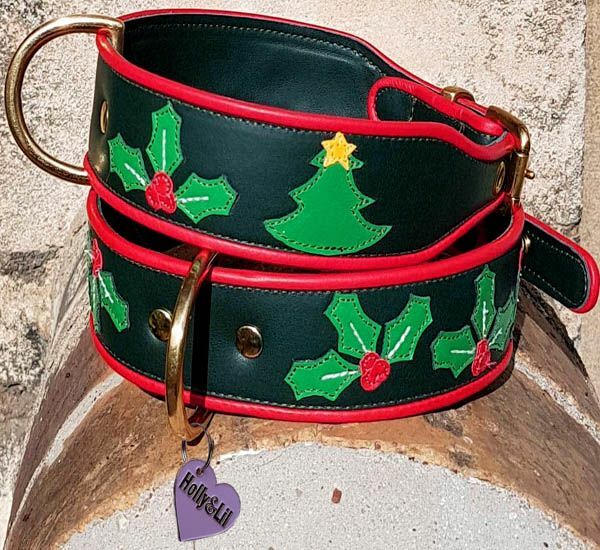 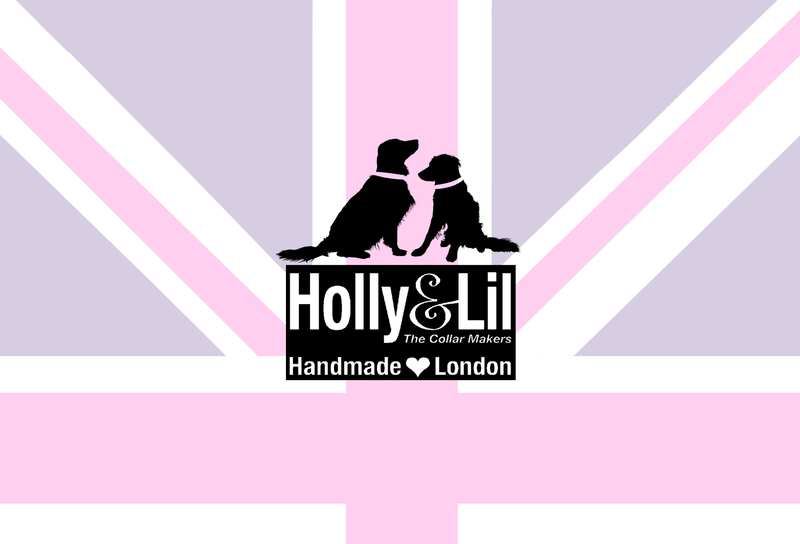 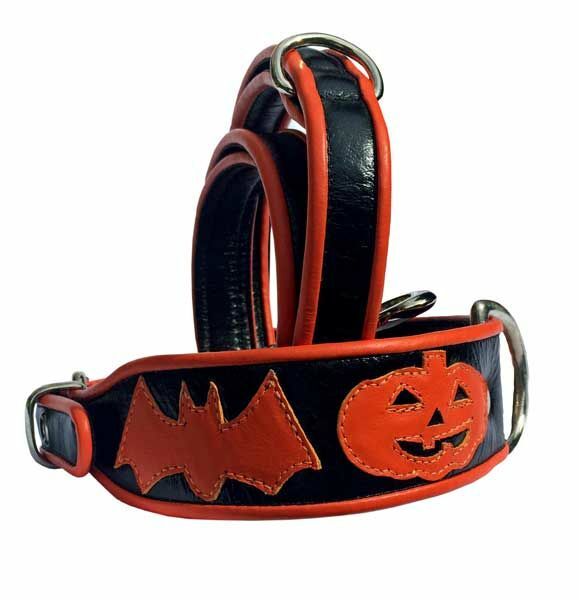 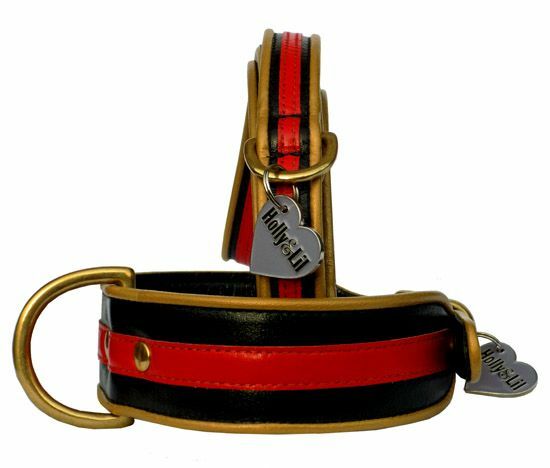 The advantages of using calf for dog collars is its glowing luxurious colour, together with its inherent softness and suppleness which is so kind to dogs' coats and far less likely to matt or break the fur than traditional bridle leather. 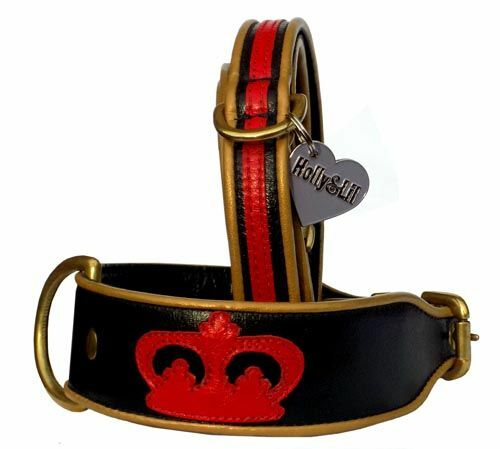 Holly dog swam everyday in her bow collar but she did not wrestle and play with other dogs, which was great as the bow is the first thing the other dog would grab. 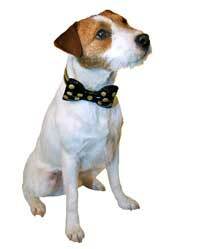 You know your dog so we will trust you to use a bit of common sense. 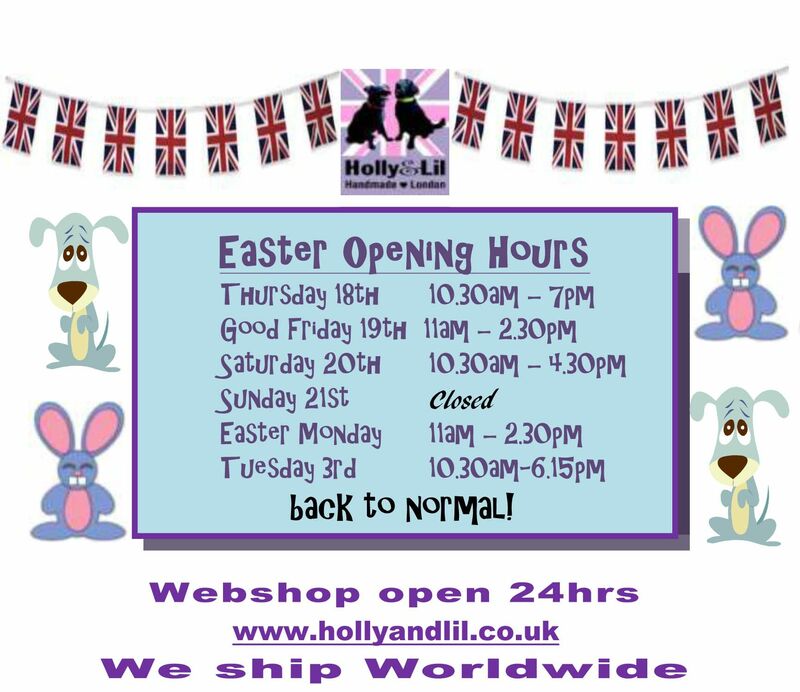 Prices start from those shown below depending on your dogs size. 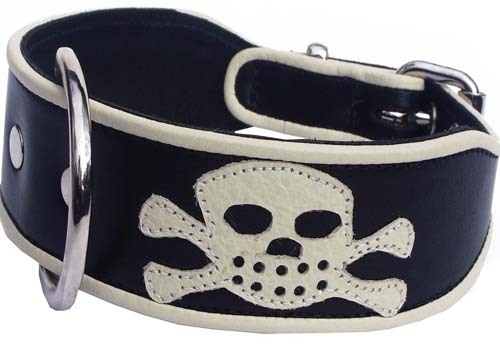 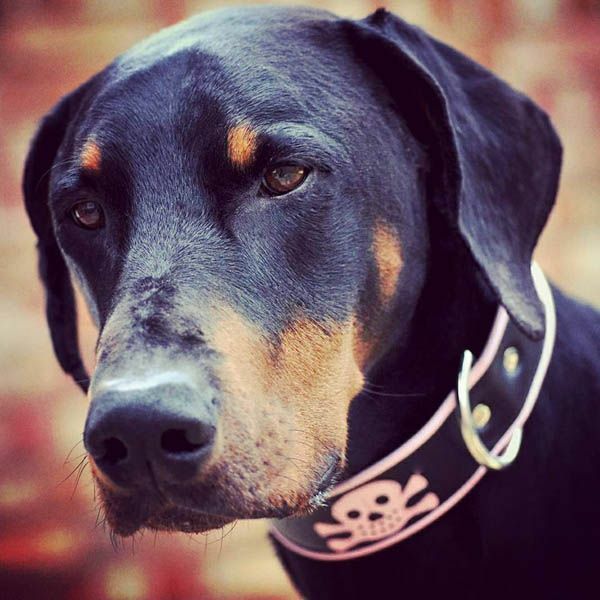 Pirate Dog Collar as seen in "Tamara Drewe"